The W-11 is the name of the bus route in Karachi, Pakistan, where the buses are ornately decorated by the bus owners. 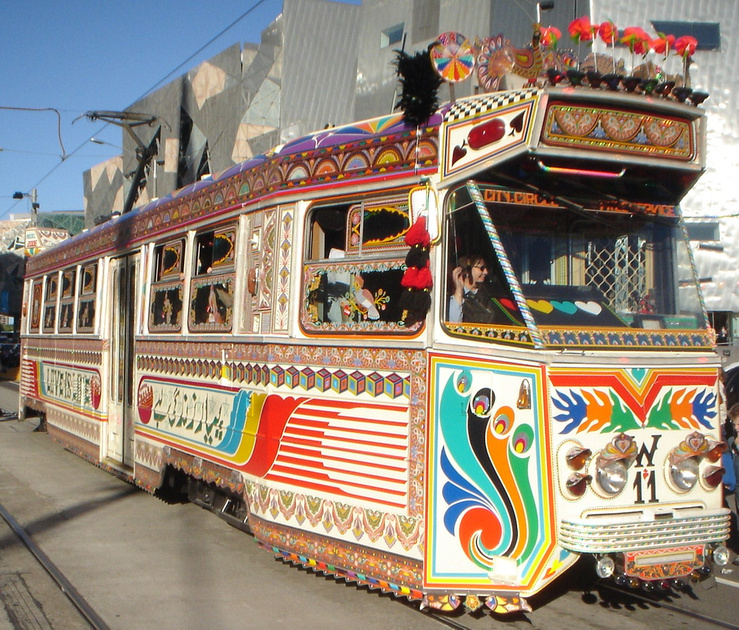 As part of Festival Melbourne2006, which was running during the 2006 Commonwealth Games, a team of Karachi vehicle decorators have transformed a regular Melbourne tram into a W-11 Karachi style mini-bus. The W-11 is running along the city circle route in the CBD of Melbourne and the tram ride is free. 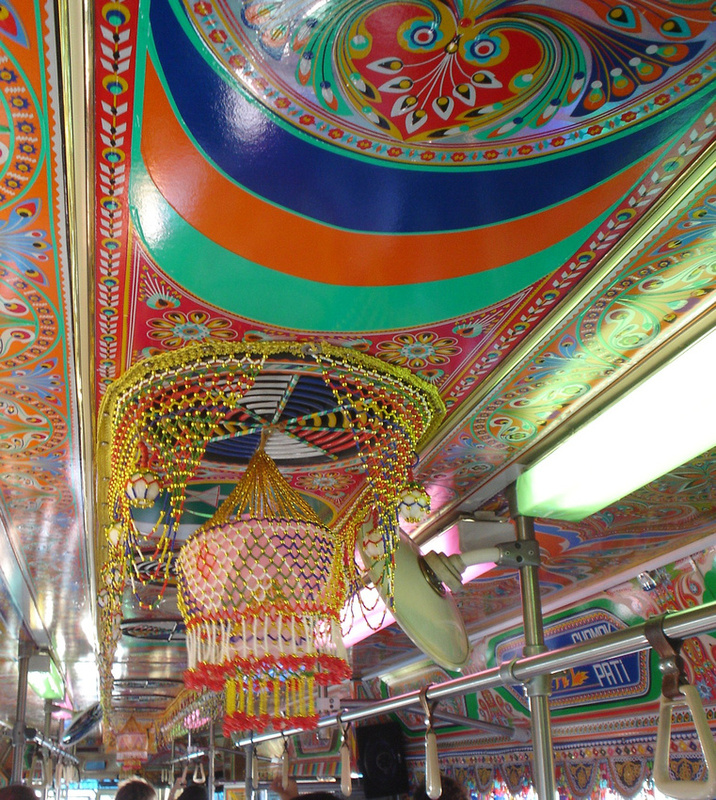 The tram is decked out in flowers and layers of cut out vibrant vinyl patterns and covered in flashing LCD lighting. Then there is the music. Loud popular music from Pakistan complement this amazing project to complete the W-11 experience. Read more about the project here: W-11 Karachi to Melbourne. That’s so cool! They should have kept it running as a tourist attraction. This would be great if it was permanent!